Summer – a time of year, free space, escape from routine, long days and warm evenings, an emotion, a memory, easy living. How do we perceive summer, what do we associate with it? 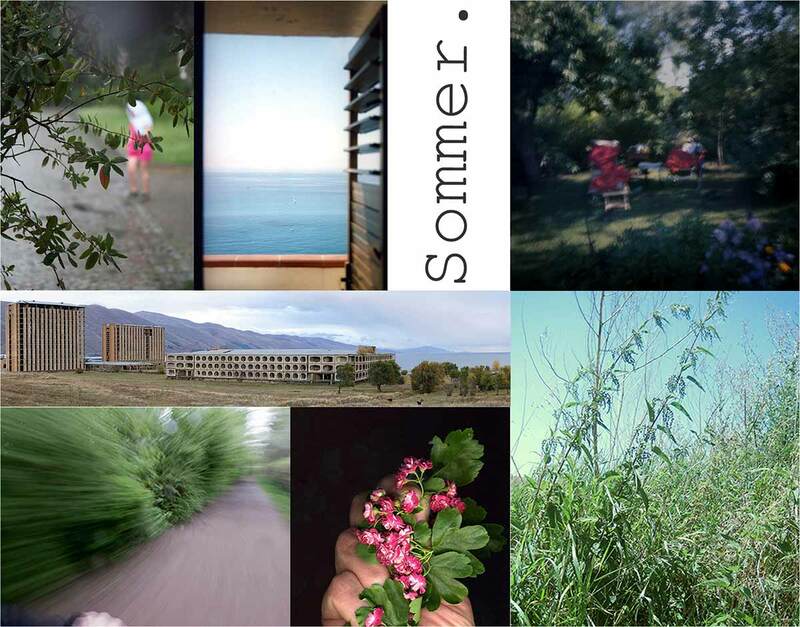 The artists of FaSB have engaged with the theme of summer and have compiled personal photographic notes from their archives. Pictures of summer in garden and countryside, of lush green, radiant colors in the bright light, out and about. Of places where holidays were spent, childhood summers, the past. A hand shows us summer blooms. And finally pictures about saying farewell to summer and time spent together, again and again.